KayKiSpeaks.com: Mid Week Laugh- Too Many Sisters!!! Mid Week Laugh- Too Many Sisters!!! Oh this tickled me. Anybody who grew up with a lot of siblings can understand the immense pressure one can be under to cope with all of them! This is especially true if you're the only girl or boy in that story.. there is so much to understand. This little boy is living that scenario, he's the only boy in a crew of sisters and was really hoping he'd get a baby brother. 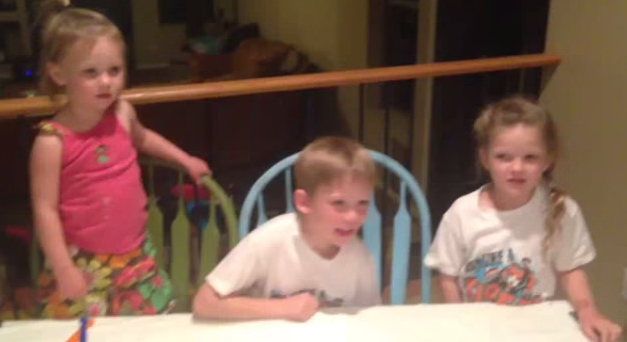 His reaction to the news he'd have a baby sister soon is not only pricelessly hilarious, but also so real. Whenever my brothers or my dad are trapped with just my sister, mom, and I they go to complaining about being surrounded. This is so funny! Hope this brings a laugh or two to your hump day! Did Rihanna Just Sign to Roc Nation? !